Beware the Batman Cartoon Network animated review. I love superheroes and a superhero cartoon would have to be pretty bad for me not to watch it. Well this show almost meets the criteria. To be fair, Beware the Batman already has two strikes with me as it replaced one of my favorite animated shows of all time, Young Justice. I know some folks would say, Young Justice is gone and to get over it, but I say then NAY and never even! I got that out, I feel better now, so lets move on. The first question I have to ask is did we really need another animated Batman show? After watching several episodes of Beware the Batman, I don't think we needed this one. In my mind, and many others I'm sure, Kevin Conroy is the definitive voice of Batman. Well the voice of THIS Batman almost sounds nasal to me. What's worse is there isn't a vocal distinction between Bruce Wayne and Batman. The voice just doesn't excite me. Alfred...**sigh**...where do I start. I have always envisioned Alfred as the British gentleman who's looks are deceiving. An innocent looking older man who has more tricks up his sleeve that in Batman's utility belt. And I picture him with hair. Well the Alfred of this show had neither any hair or that innocent look I've come to expect. He looks "leathery" and weathered like a bald Clint Eastwood; when what I'd come to expect is Sean Connery I understand that Alfred's back-story involves a past as a soldier; but that's not what I get from his look or mannerisms. I see a MI6 agent who is one vacation, not retired. I just don't like the guy, and I've always liked Alfred; from the cartoons of the 60's, to the live action 70's, to the animated series of the 90's. and the movies with Micheal Keaton to Christian Bale. If that isn't enough, there's the villains. The 70's live action show had villains I could laugh at. The animated series of the 90's had villains I felt sorry for. This show has villains that I don't care about or care to see. Professor Pyg, Magpie, Humpty Dumpty, Silver Monkey, Anarky, Cyber. NO SPOILERS... But none of those villains make me care or laugh. Batman's villains has always been one of the reasons I've liked him sp much. They have a complexity that's just awesome. The villains from Beware the Batman are simply not interesting. They're have the complexity of a Rubik's cube that's all one color. No matter how you look at it or turn it; there is nothing there. A friend watched the show and thought Magpie was Catwoman redone. while that speaks load of his character and issues, it says to me that Magpie had/has no depth. After watching a few episodes with my wife, we both say the computer animation as lackluster. The backgrounds were too dark and stagnate. I know it's Gotham mind you, but there's dark and then there's dark! The animation doesn't look smooth, in fact it looks choppy in some parts and the action got hard to follow in some instances. With all this hate that I've dishing out, I do have to say that having Katana as a Robin of sorts is a rather interesting. Not interesting enough I'm afraid. I realize that this is a retelling and a different prospective on the idea of the Batman mythos, but from what I've seen, it's just not a good one. T'Challa is the ruler of the African nation of Wakanda. 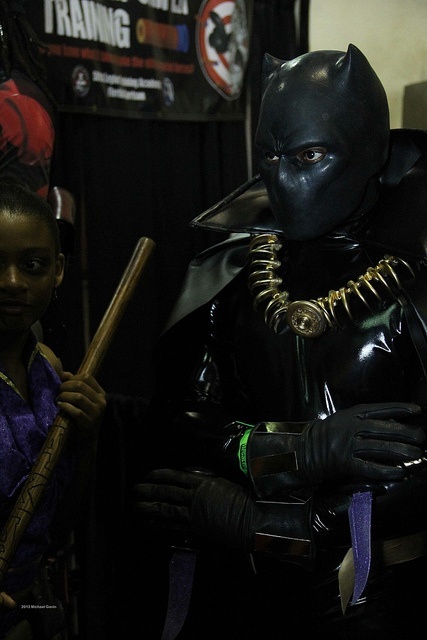 The ruler also inherits the title of the Black Panther (although it still has to be earned). 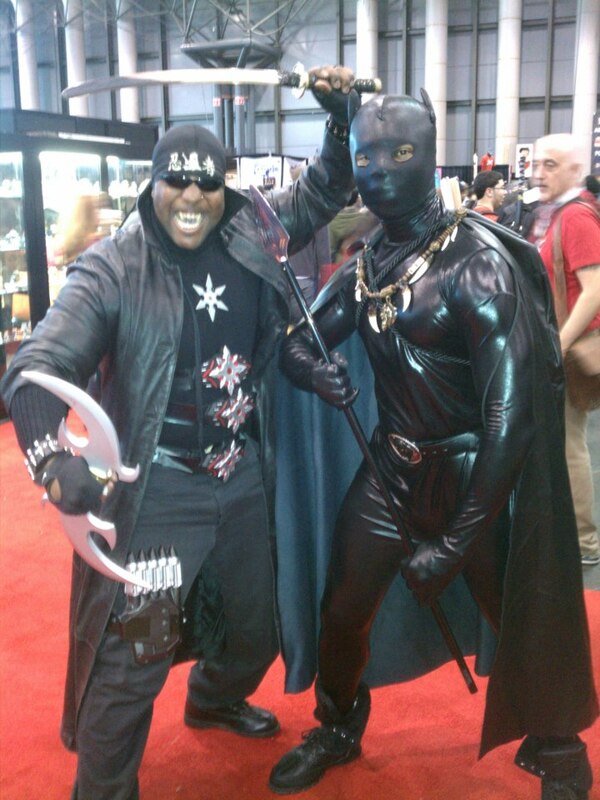 Wakanda is the main and only source of the metal Vibranium. 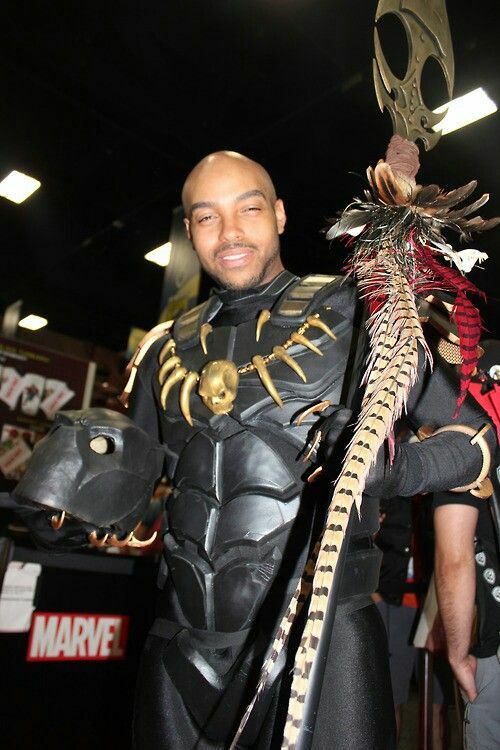 The thought of outsiders exploiting Wakanda for it's valuable and rare metal, lead to Wakanda closing itself off. T'Challa traveled to the US to learn about other perceived threats to his homeland by joining the Avengers. T'Challa, like other Black Panthers before him took a mystical herb that grants him Olympic level strength, speed, stamina, and agility and super human senses. This was due to a mystical connection to a Panther entity. 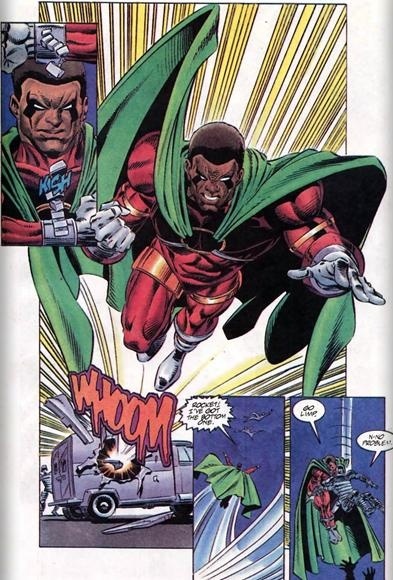 Several times this connection was broken and the Black Panther lost his enhanced abilities. Besides his physical abilities, as the ruler of Wakanda, T'Challa has access to an enormous amount of resources; financial and technological. This outfit is made of a Vibranium mesh. Probably his most deadly asset is his mind. 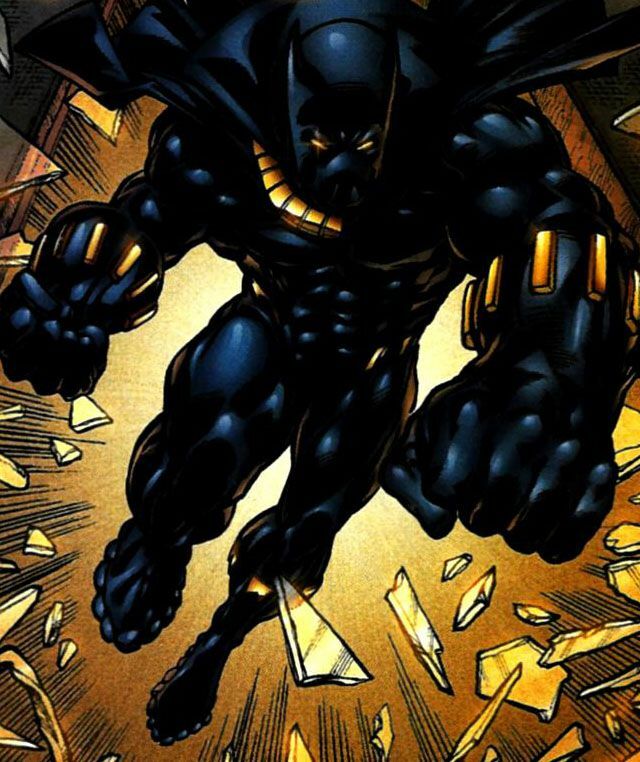 T'Challa is a genius that has a Ph.D from Oxford, as well as a skilled hunter, fighter, scientist, and strategist. 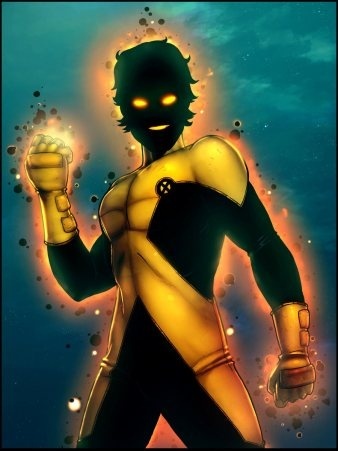 He first appeared in Fantastic Four #52 The new Mutants (July 1966), and was created by Stan "the man" Lee and Jack Kirby..
Roberto "Bobby" de Casta is a Brazilian young man who happens to be a mutant. After his power manifested during a soccer game, he was recruited by Professor Charles Xavier as one of his "New Mutants" Bobby comes from a wealthy family and he inherited membership to the Hellfire club when his father died. Portrayed as a ladies man, Bobby has been always been cocky and headstrong. Roberto has the ability to absorb solar energy and convert it into physical strength and stamina. When using his powers, Bobby's would be covered in a black aura outlined by various black spots. This was said to be the result of his power's reaction to air and dust particles. Early on, his powers mainly dealt with increased strength. Many times have I read "For all Bobby's strength, he's just as vulnerable as we are" or lines similar to that. Later in his appearances due to the result of a few different story-lines, Roberto could use the solar energy he absorbed to fly and project concussive blasts. He first appeared in Marvel Graphic Novel #4 The new Mutants (April 1982), and was created by Chris Claremont and Bob McCloud.